Medical writers often write under tight deadlines. Writers are requested to create abstracts of papers or posters, pamphlets, newsletters, or create presentations for clients. Clients may request these products in a short time frame and writers often juggle multiple projects at once. Medical writers summarize complex information in a clear and logical way that is appropriate for a target audience. Don’t forget the cornerstones of good writing: grammar, punctuation, tone and voice. For this exercise, you are the medical writer for a clinical research organization. You have been hired to write abstracts of articles for a lay audience. Your stakeholders are medical staff in a hospital who wish to stay updated on the literature, but do not necessarily have expertise. Your goal is to write as many abstracts as you can for several papers in this field. 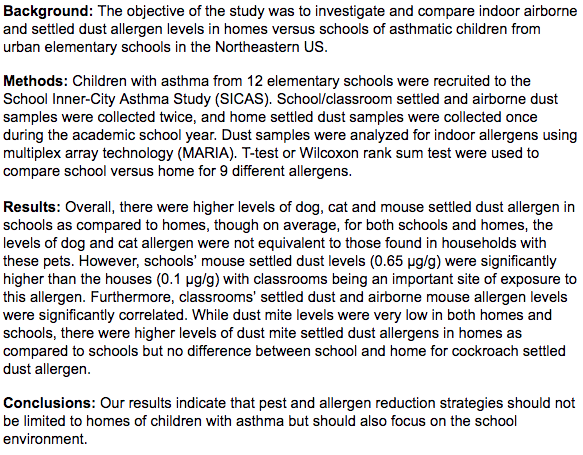 Read the article “Allergens in Urban Schools and Homes of Children with Asthma”; PMC 3424376.Go ahead and ignore the article’s abstract for now. You’ll have a chance to compare the abstract you write to the one that is published. Aim for a maximum of 2-3 hours to read the paper. Task 2: Write the abstract and keep track of your word count (300 max). Time yourself to write the abstract within 30 minutes. Your abstract should consist of four sections: Background, Methods, Results, and Conclusions. The sections should briefly describe, respectively, the problem being addressed in the study, how the study was performed (including numbers of patients), the significant results, and what the authors conclude from the results. For all clinical trials, the trial registry name and registration number must be stated as its own paragraph at the end of the abstract after the conclusions. The abstract must be clear, concise and accurate. Medical writers may not always be able to meet with their clients in-person, and may need to explain the rationale and angle in an email. It is important to write clearly and concisely in all written communication. For this exercise, consider how your abstract differed from the published abstract (PMC3424376). What details did you choose to focus on based on the prompt? 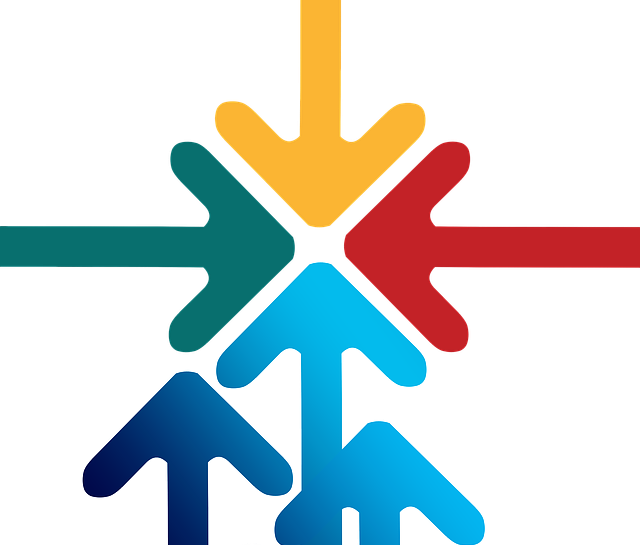 To view detailed lists of skills in job descriptions for communication careers, please see workforce data generated by Boston University’s BEST program.